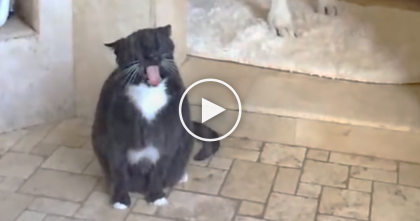 When Ginger Kitty Wants To Be With His Owner, Just Watch… It’s The SWEETEST. This owner decided to record when his cat wants to be with him and it’s just adorable…This ginger kitty is such a sweetheart and shows his owner his love every day! After wagging his tail, then jumping up, what happens next will just melt your heart – these cuddles are the reason why it’s IMPOSSIBLE not to love cats… This is just too sweet for words. 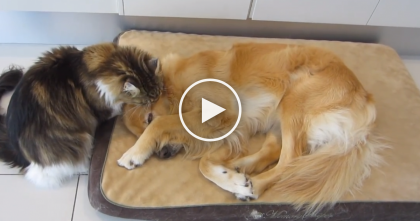 This is too sweet, ginger cats are the best—SHARE this sweet video with your friends! They Turned The Shower On, But Didn’t Expect The Cat To Do THIS… Omg, The Results Are Hilarious!! 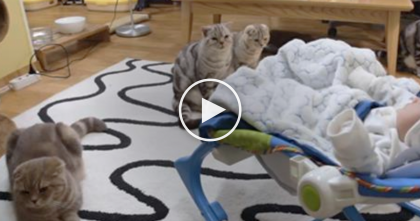 Five Cats Discover The New Baby For The First Time…Now WATCH Their Reaction, It’s Adorable! !